For any United Way that wants to harness the power and potential savings of cloud-hosted servers and applications to run leaner and do more in their communities they serve, the technology is getting cheaper, faster, and simpler all the time. And while these trends are definitely exciting in terms of the possibilities they create, many of the options that are now literally at your fingertips can actually create more problems than they solve. Many commercially available applications for non-profits that look sleek and simple in demo mode may not be scalable, secure, or suited to the needs of your United Way. At least not without significant modifications. At the same time, with competition for donations on the rise, a variety of “1-click” fundraising apps flooding donor screens, and front line staff clamoring for faster more intuitive digital tools, choosing the right technology—and technology partner—is a critical strategic business decision for every United Way. At Upic Solutions, we make it our business to stay abreast of trends in technology and fundraising and only bring to the table those solutions that have been first subjected to rigorous testing and then embraced by users with needs very similar to yours—actual United Way clients. Upic’s unique co-op business model offers members affordable access to innovative technology and a partner who can help you leverage it to reduce complexity, increase efficiency, and deliver a great user experience for staff and donors alike. As you’re about to find out, sharing expertise and resources offers some powerful advantages. 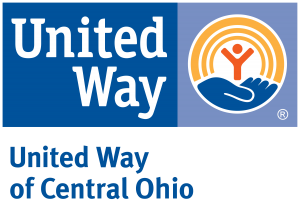 The United Way of Central Ohio has transitioned from a local, PC–based system with no remote access or mobile connectivity to a modern enterprise that uses technology to operate more efficiently, connect staff to the data they need, and improve the donor experience. By leaning on the resources of Upic Solutions, they’ve been able to put more dollars to work in the community by maximizing their IT budget. For Upic, it’s about more than delivering creative IT solutions. While commercial hosting services and “off the shelf” applications can and should play a role in your information management strategy, Upic understands the technology needs of United Way organizations in way that eludes most for-profit companies. That’s because we approach technology investments from the perspective of a fellow notfor-profit corporation. One that, like yours, has to be run like a business. In 2001, we were chartered as a 501-c-3 tax-exempt enterprise to serve the needs United Way and 15 years later we’ve grown to serving 2400 users at 59 United Ways across the country. In the for-profit world, sharing the benefit of one client’s innovation with others would be considered a breach of privileged information. It works differently for Upic’s United Way membership. Upic’s sole focus on United Ways puts us in a unique position to make solutions available to many that few could afford on their own, even if we’re not hosting applications or data. The partnership with Upic has allowed her organization to integrate essential workflow solutions such as Upic’s Virtual Office without having to pay a premium. Created specifically for the needs of United Way leaders and staff who may need to work or collaborate remotely, the app allows access to any application or file (pending permission levels), from any location with Internet access, on any device. Developed mainly as a convenience, Virtual Office has become a necessity in today’s always on United Way environment. Her colleague Rick Collins, Assistant Vice-President of Information Management, has been the driving force behind United Way’s evolution to their current integrated CRM system. His United Way looks and functions very differently than the organization he joined in 2008, and he cites Upic as one of the reasons. Not only does that describe most days, he goes on to add, “People have gone from resisting change to being able to articulate what kind of information they need, when they need it, and on what device. Regarding the temptation to embrace the bright shiny technology object, Collins sees it as a both a challenge and an inspiration. “There’s no question that what United Way staff can do on their smart phones has led them to expect similar speed and simplicity with work apps. And while he’s worked with Upic to successfully create a responsive website and user portals, as well as implementing donor-friendly functionality such as text to mobile giving options, he’s now set his sights on creating a uniform experience across all devices similar to commercially available solutions. While Upic provides the infrastructure and the data access that allows all the parts of the machine to function smoothly, Collins also says Upic plays a key role in helping plan for future innovations. “Upic gets us. And that saves more time, money and frustration than you can possibly imagine. An area many United Ways struggle with, especially those in smaller markets or regions that remain economically challenged, is being able to afford access to hands-on customer support. If you’ve ever experienced an issue such as an unexpected 404 message when trying to access a corporation’s giving history or your payment gateway suddenly starts rejecting donor credit cards, you know how valuable live support can be. United Ways, most are active volunteers in their communities. Upic’s job is two fold: to support the United Way’s IT infrastructure and their mission. At the same time, he’s seen the powerful outcomes facilitated by more efficient campaign management and reporting tools. What can other United Ways expect from a relationship with Upic ? There are plenty of situations where an animated infographic is appropriate for learning new technology. But when it comes to choosing technology to help you empower and enable the populations that depend on United Way support, you need a team that understands what United Ways are, how they work, and who they serve. Whether you’re a United Way with immediate technology challenges, or you’re looking at a significant IT infrastructure investment and you want to be sure you’re getting the most bang for your donors’ bucks, Upic Solutions is here to help. Contact us to schedule a call. And discover the power of working together. Contact us to schedule a call and discover the power of working together. Please check to verify submission.